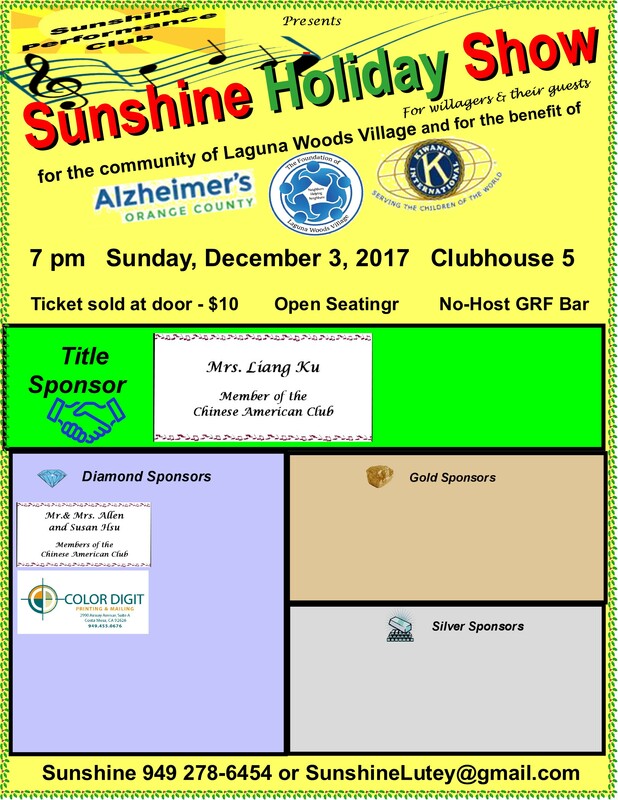 On Sunday, December 3, 2017 the Sunshine Performance club will offer their yearly Sunshine Holiday show. This will be the 5th annual holiday show by the group. 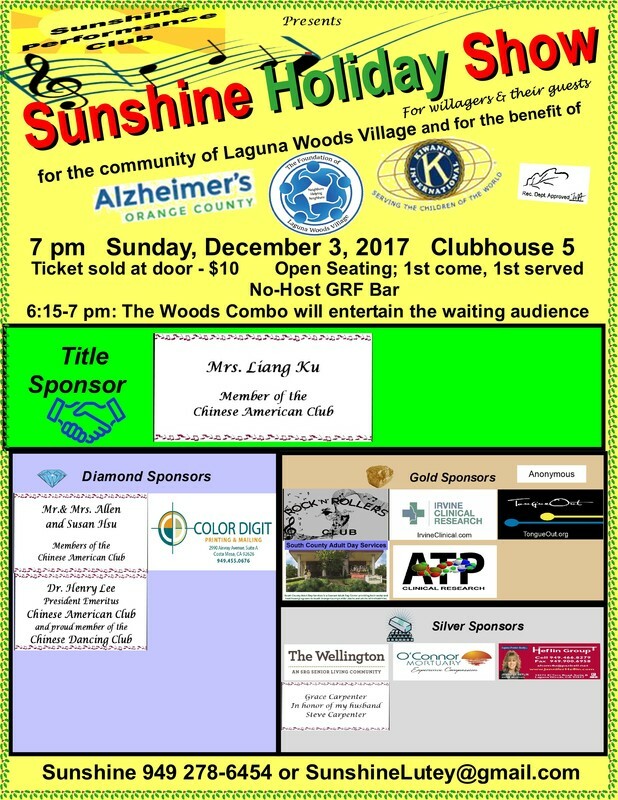 Sunday, December 3 from 7 - 9 P.M.
Musical Variety Show with holiday and sing-along songs for the community, performed by community members and friends with proceeds given to our supported charities.